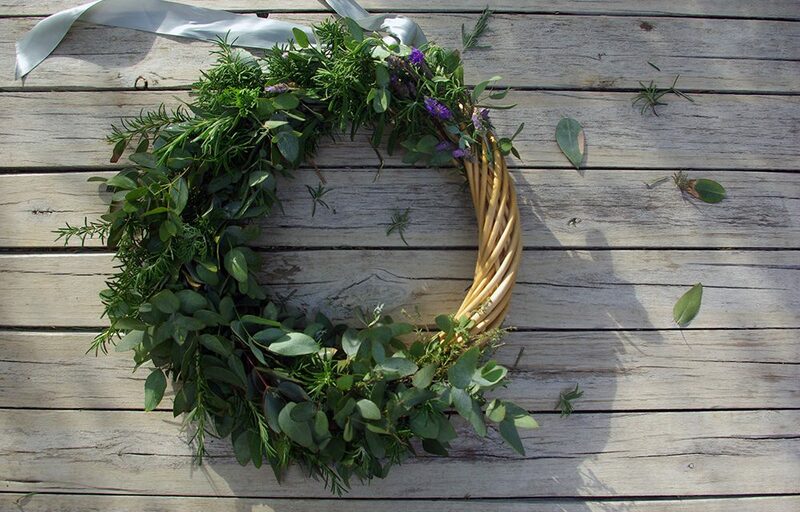 Clipping fresh sprigs of rosemary from the garden hedge, the knots inside begin to unravel. Large ceramic dishes of garlicky roast potatoes and garnishings of fresh rosemary served up in a few weeks’ time wash into view, as I snip at the woody brush below. A few paces along, the palms of my hand brush over the soft tops of budding lavender. My garden is home to three different varietals, the Australian one grows profusely and smells rather lemonier. I prefer the French Lavender for what lies ahead. The bees seem to agree. Such a soothing scent, it usually fills me with the nostalgia of morning rusks and Earl Grey tea, but at this time of year, it’s the honey-lavender roasted carrots that conjure happiness within. 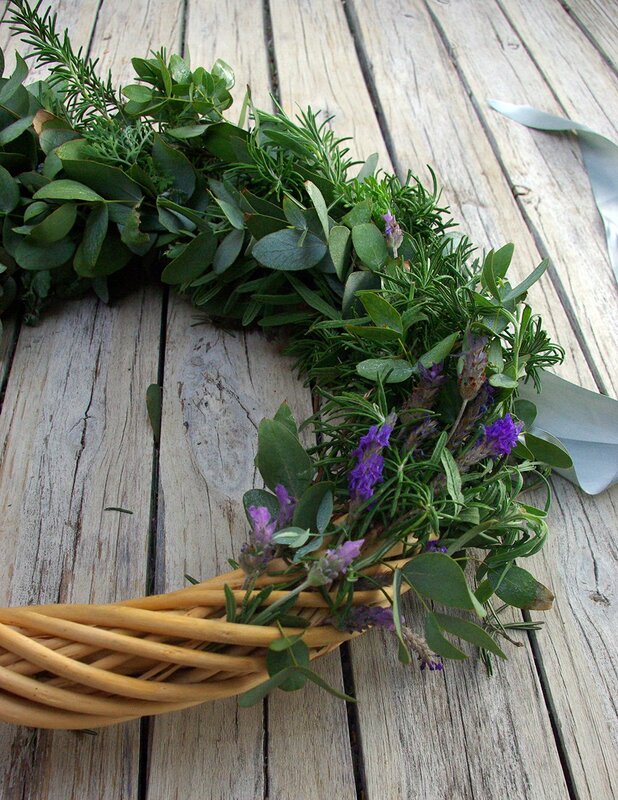 I’m gathering herbs for my annual herb wreath. It’s a recently acquired, much-loved festive season tradition. 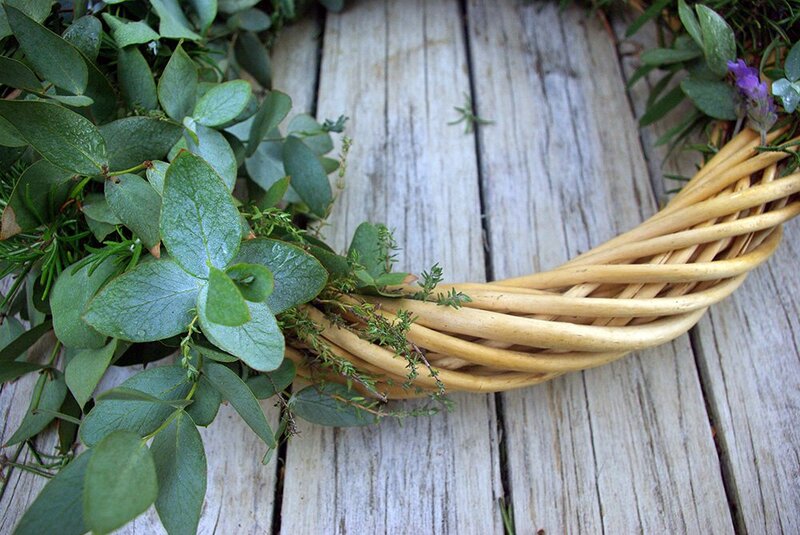 But there’s far more to it than the tactile garden therapies offered up through the tending and weaving of aromatic fronds. I’ve come to see these patient foliage creations much like the festive season equivalent of a Japanese Zen garden. 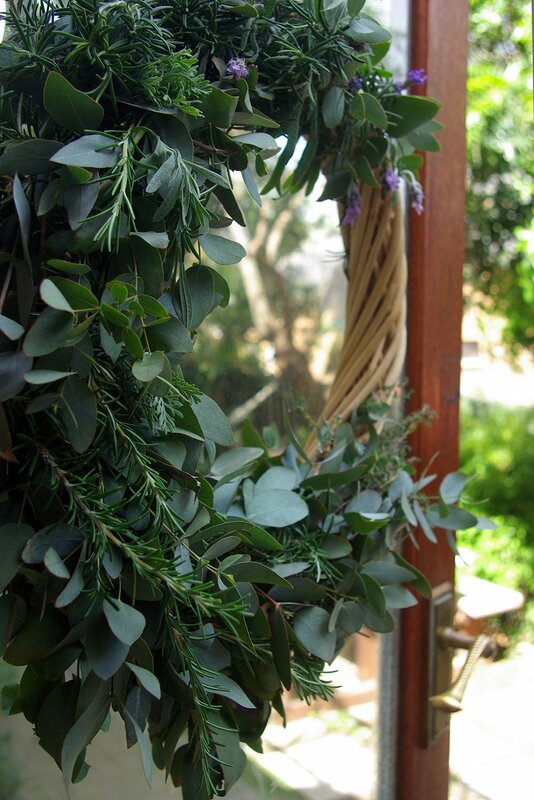 Here’s why I think it’s worth beginning your season with the making of your own herb wreath. Continue reading on the Faithful to Nature blog.